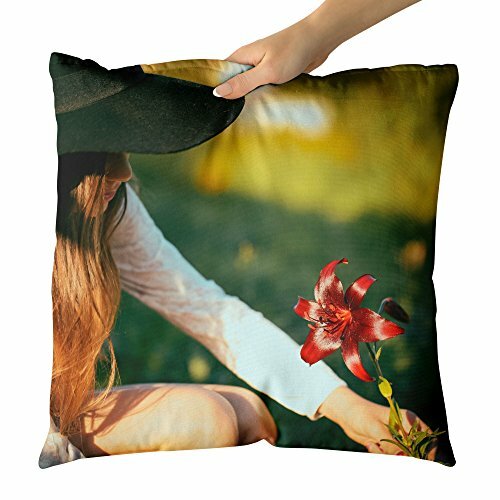 Westlake Art is proud to offer you this awesome photograph reproduction throw pillow with included cushion insert. Whether you're looking for a stunning sofa cushion for your living room or a mindful gift for your bff, you can't go wrong with this decorative indoor throw pillow. This double-sided full print soft pillow is ready to use on your favorite couch or sofa chair. Choose your own style and size to match your room decor. Perfect for living, office, bed rooms and hallways. We also offer other sizes - smaller, larger, 14x14, 14x20, 16x16, 18x18, 20x20, 26x26, you name it! Please message us and we'll get back to you the same day! Makes a perfect gift for someone who loves art. Simple graphics on clean fabric - a great inspiration for men and women. Give it to your lover mom dad daughter sister boyfriend girlfriend husband wife mother or best friend for her birthday present, his graduation, Christmas or any other occasion where gifts collectibles and a happy smile are appropriate. SATISFACTION GUARANTEE: Our pillows are handmade designed, printed, and packaged in the USA. If our art doesn't make you or someone you know smile (or the art smears, tears or is damaged in shipping etc.) we'll refund you. Why Because you're awesome.